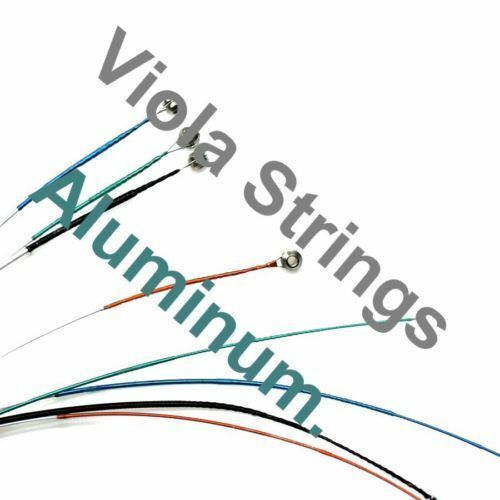 VIOLA STRINGS, ALLUMINIUM, QUALITY FULL SET, GREAT TONE, UK SELLER!!! 1 FULL SET OF 4 VIOLA STRINGS MADE FROM ALLUMINIUM, 1ST, 2ND, 3RD, 4TH. DURABLE YET WITH GREAT TONE. 4TH- ENDS ARE WOUND COLOURS. VIOLA STRINGS, FULL NICKEL, QUALITY FULL SET, GREAT TONE, UK SELLER!!! 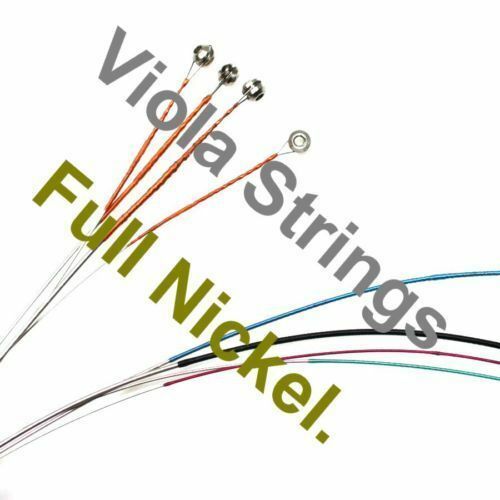 1 FULL SET OF QUALITY VIOLA STRINGS MADE FROM FULL NICKEL, 1ST, 2ND, 3RD, 4TH. DURABLE AND WITH GREAT TONE. ENDS ARE WOUND N DIFFERENT COLOURS. VIOLA STRINGS, QUALITY FULL SET, INDVIDUALLY WRAPPED, GREAT TONE, UK SELLER!!! 1 FULL SET OF 4 VIOLA STRINGS. EACH STRING IS INDIVIDUALLY WRAPPED, 1ST, 2ND, 3RD, 4TH. DURABLE YET WITH SOFTER TONE. 4TH- ENDS ARE WOUND IN BLACK, 3RD IN GREEN, 2ND IN BLUE AND 1ST IN VIOLET.